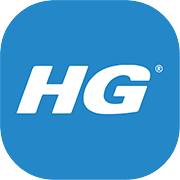 DTT made a website for HG where retailers can follow HG promotions, view and order products online. Retailers can place an order directly on the website or view the order history. 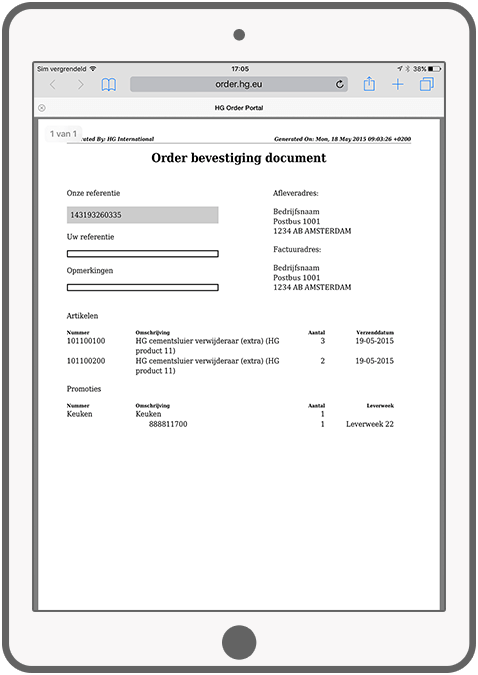 After placing an order, the user can generate a PDF file with the order confirmation. A useful addition is the ability to store an item in the 'favorites'. 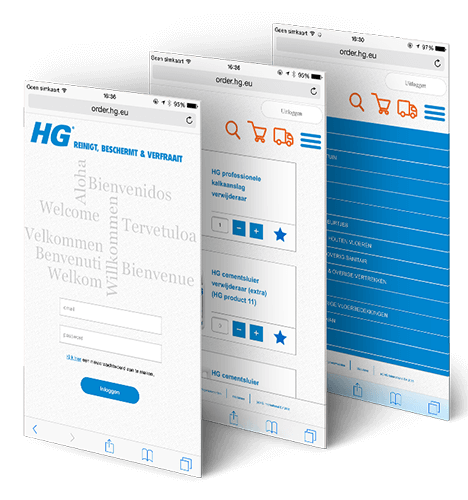 The website is available in 6 different languages and is completely responsive, it will adjust to the width of the desktop, tablet or smartphone. 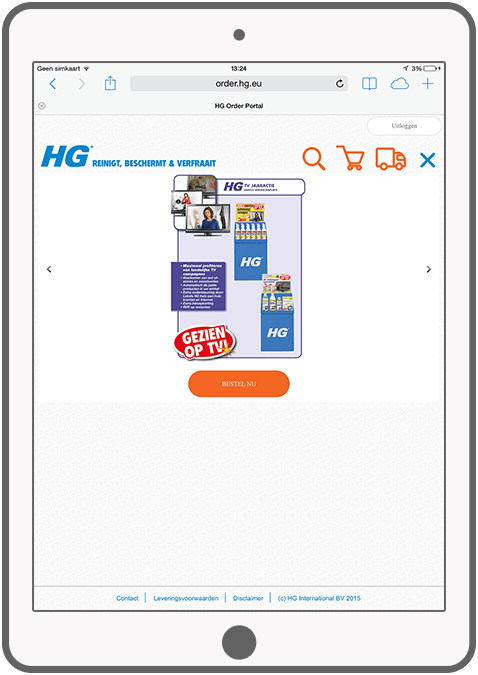 Apart from the HG website we have also developed HG order app, HG sales app and HG webshop. Retailers can place an online order on the website. 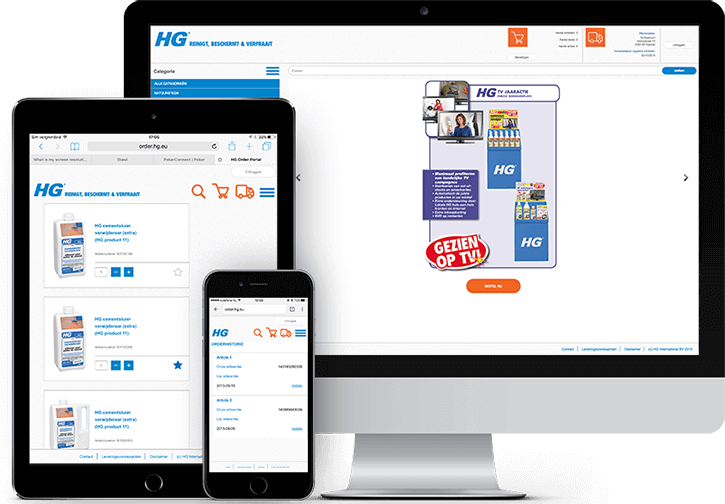 Campaign and promotion products are available on the website. 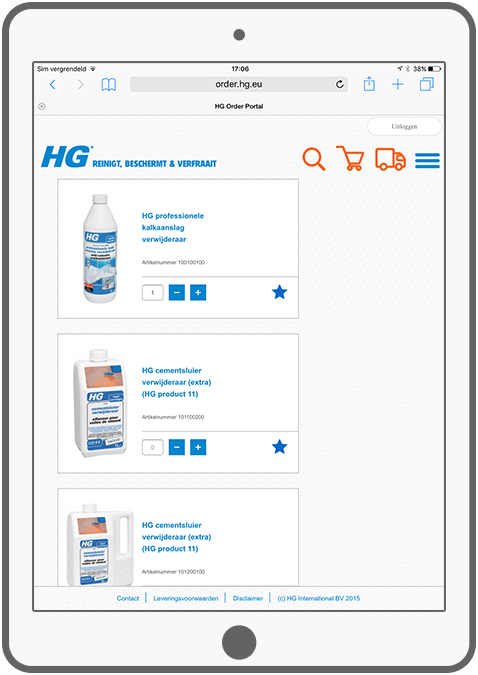 Users can view the history of previous purchases on the portal. 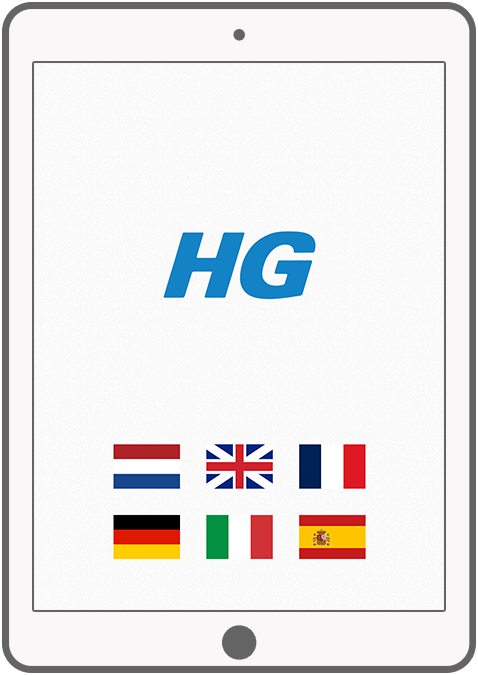 The website is available in 6 languages. The language is automatically defined by IP. 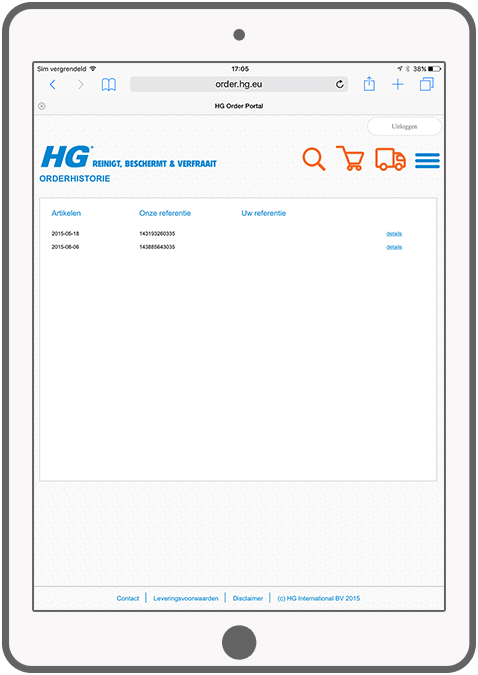 After placing an order you can generate a PDF file with confirmation of the order. Retailers can check favorite products in a personal account.